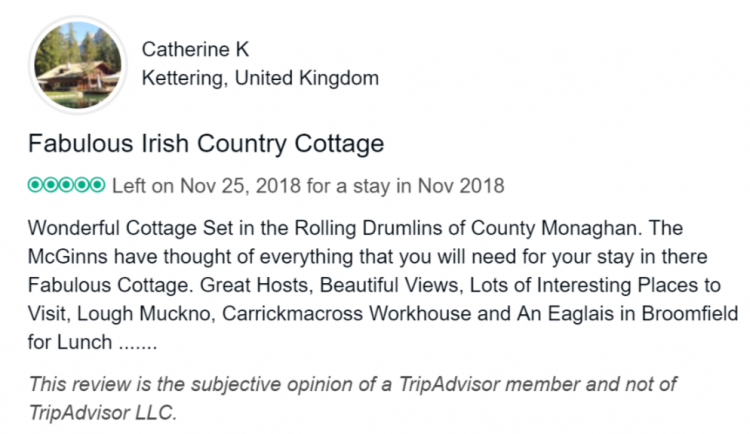 Thank you to Catherine & all the family, over from the UK, for choosing Muckno Lodge again & for this lovely review. Some great suggestions here for local places to visit…. Wonderful Cottage Set in the Rolling Drumlins of County Monaghan. The McGinns have thought of everything that you will need for your stay in there Fabulous Cottage. Great Hosts, Beautiful Views, Lots of Interesting Places to Visit, Lough Muckno, Carrickmacross Workhouse and An Eaglais in Broomfield for Lunch …….